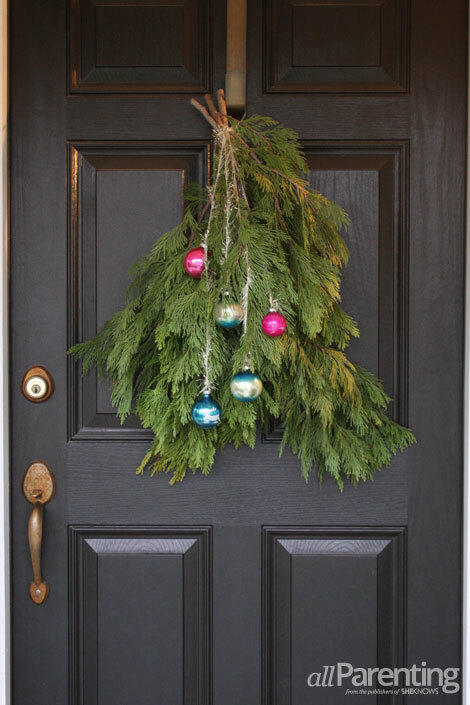 The simplest ideas are often the best and this couldn't be truer than with this holiday swag for your door. Like a wreath, it brings a fun and festive touch to your entry, but unlike a wreath, it's entirely easy to create on your own. 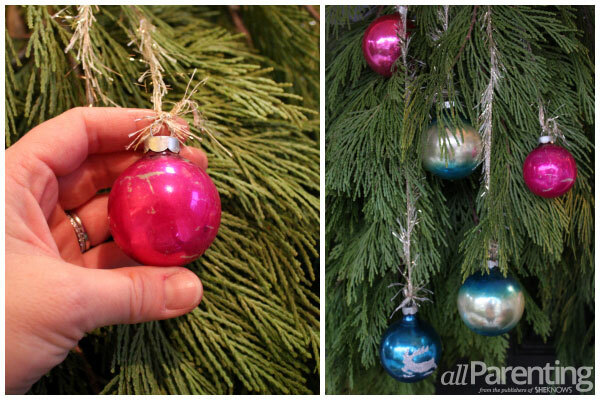 Begin by gathering your boughs into a bouquet, making sure that each bough lays flat against the one below. Vary the length of each piece with the longest on the bottom of the bouquet and the shortest on the top. The variation lends texture to the group. 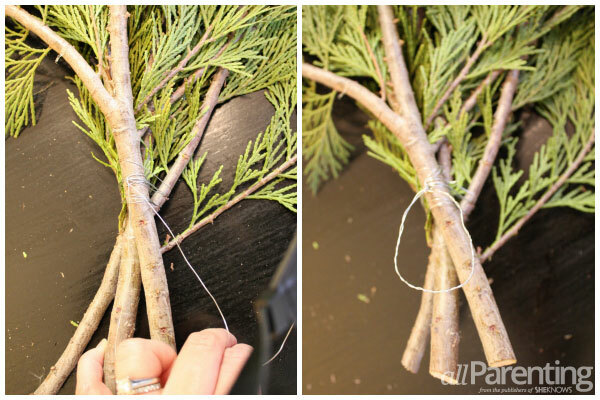 Next, wrap the boughs tightly together with wire. Begin by crossing the wires around the stems 2 to 3 times. Then begin weaving the ends of the wires in and out of the stems. Finish by wrapping the wires around the entire bundle 2 more times, securing the end to the wrapped wire by twisting them together to form a loop. This will be what suspends your swag. Take your twine or ribbon and cut 3 to 4 pieces of various lengths. Wrap them around the wires, tying them into a firm knot. 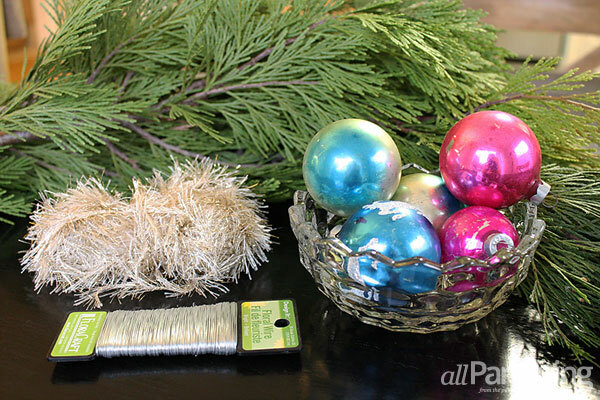 Tie your ornaments onto the ends of the twine so they vary in height. Your holiday swag is ready to be hung!